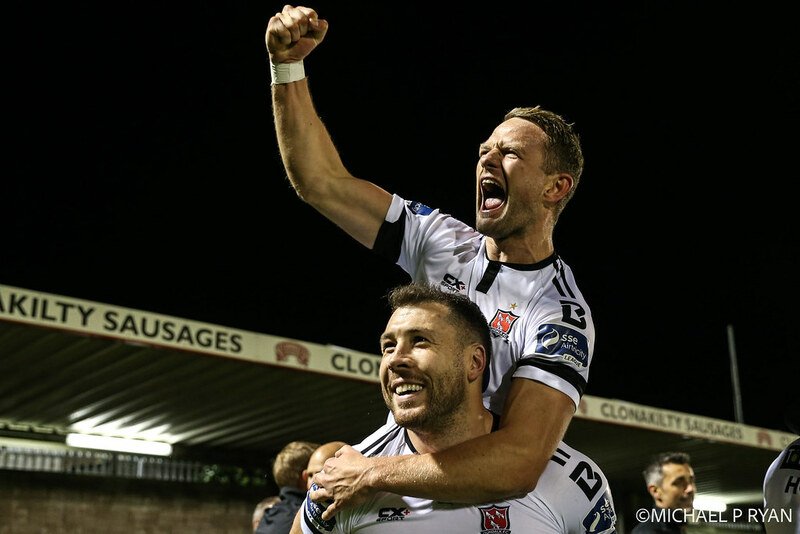 An early Chris Shields goal helped secure victory for Dundalk at Turners Cross. 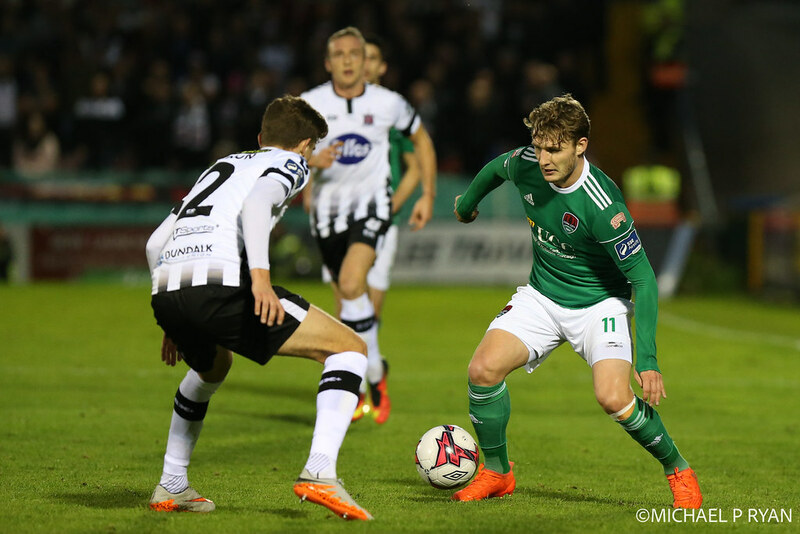 In truth, the margin of victory could have been more as the away side threatened on numerous occasions to add to the lead. By winning away to their nearest challengers, the lead at the top has been extended as a result. Four points are all that stand in their way to regaining the trophy won away from them last season. 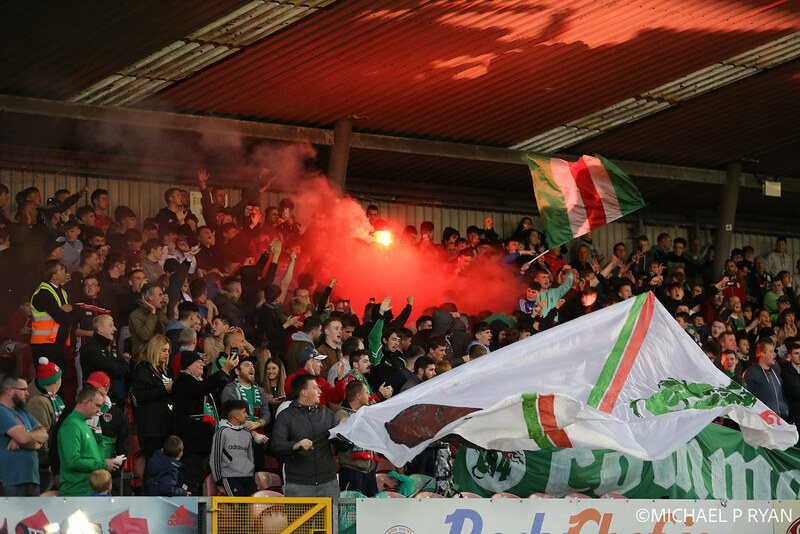 It was crucial Cork City got off to the right start to get the support behind them. Unfortunately, this was not to be the case. 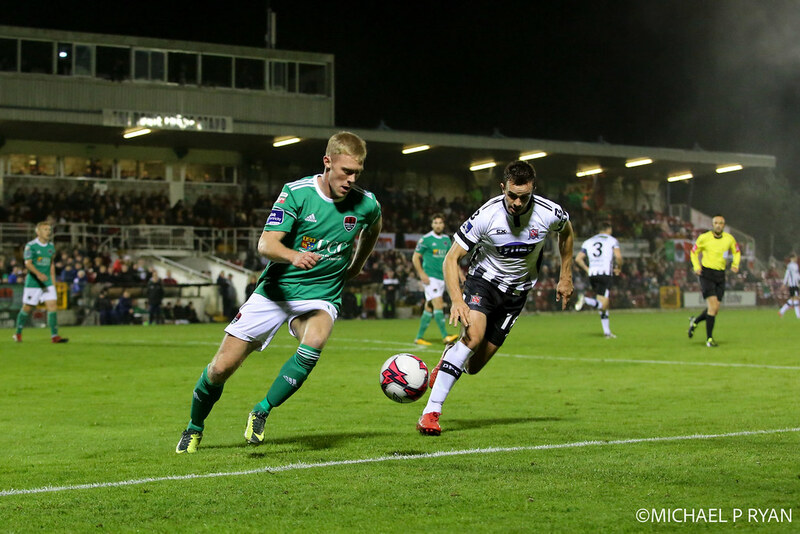 Indecision between the new partnership in defence allowed Shields to play a one-two with Patrick Hoban before unleashing a low drive which deflected off the heels of McCarthy and into the bottom corner. It gave them the confidence to get their composed passing game up and going. 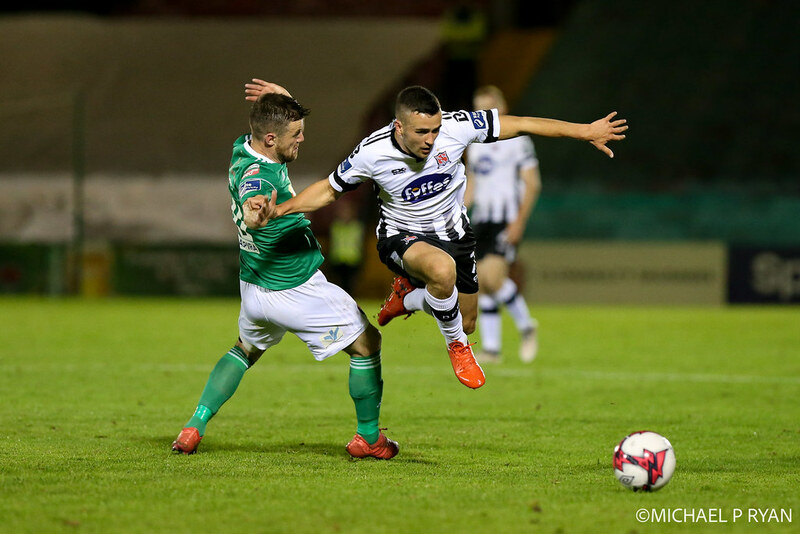 The likes of Hoban and Michael Duffy constantly stretched the City defence as Dundalk played the ball through channels. On many occasions, they threatened to extend the advantage. City, in contrast, aimed to be more direct by finding Graham Cummins. He was isolated by a lack of support and much of it went to waste. 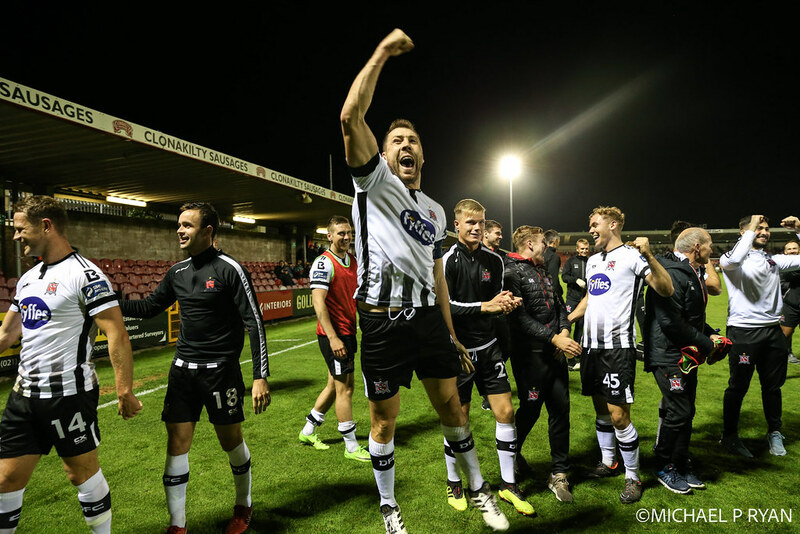 Dundalk were perhaps fortunate to escape a penalty award as Cummins went down in the area following a tangle with Brian Gartland. The away team always looked more impressive as they set to finish the game off. 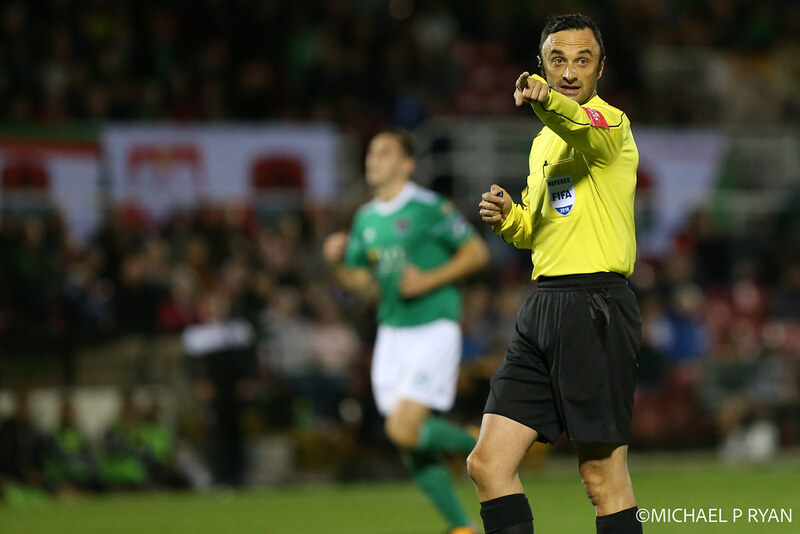 Shields was at it again as he unleashed a cracking shot from thirty yards which just went over. Changes were required as John Cotter introduced Ronan Coughlan. It could perhaps have been put to bed shortly after however. 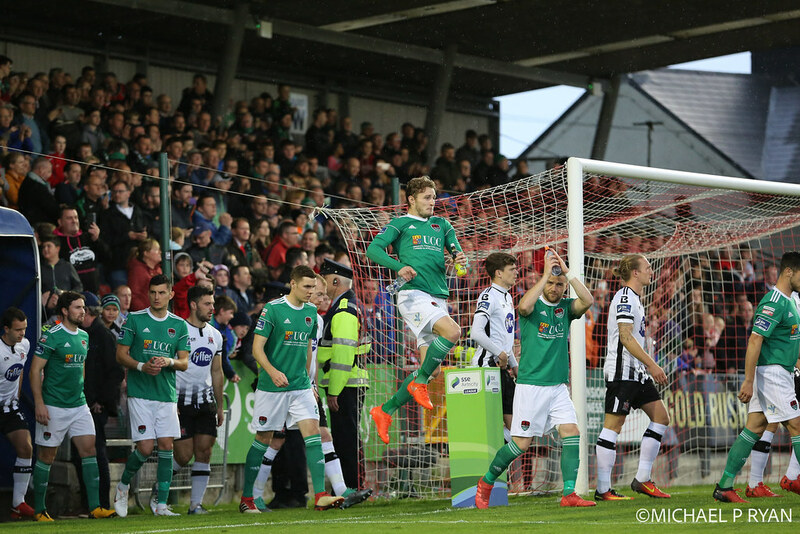 Duffy’s corner found Gartland un-marked in the area but his header went wide. He is normally more clinical in said situations. City continued to battle as the game reached the later stages. Urged on by the home support, they struggled to really find that clear cut opportunity to make that breakthrough. 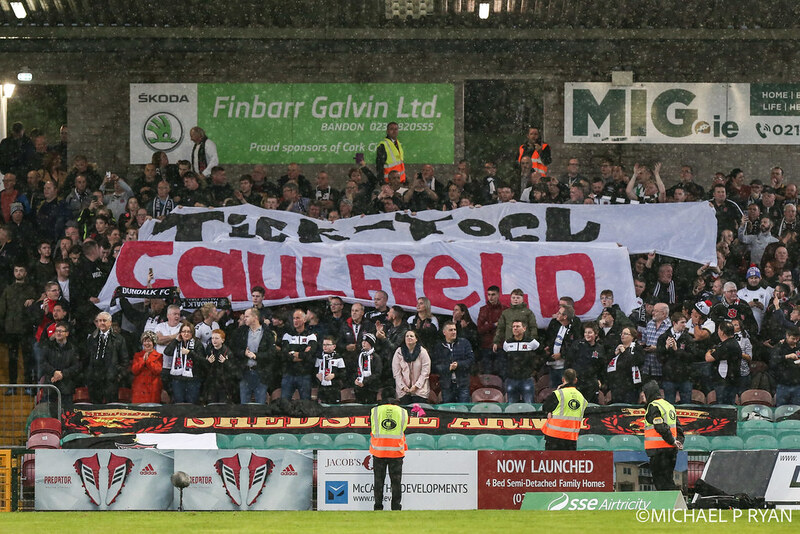 Dundalk always looked assured, clam and composed. They perhaps saw fewer chances but never really looked under the cosh either. 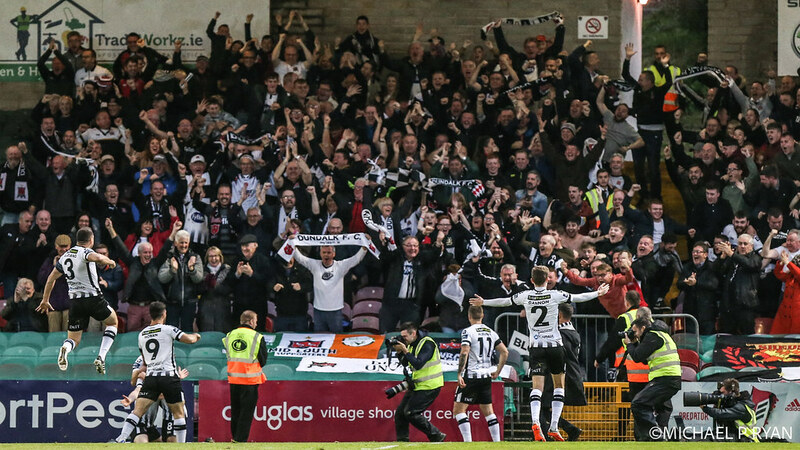 At the end, it was the Lilywhite fans in the top corner making all the noise as the referee blew his whistle. 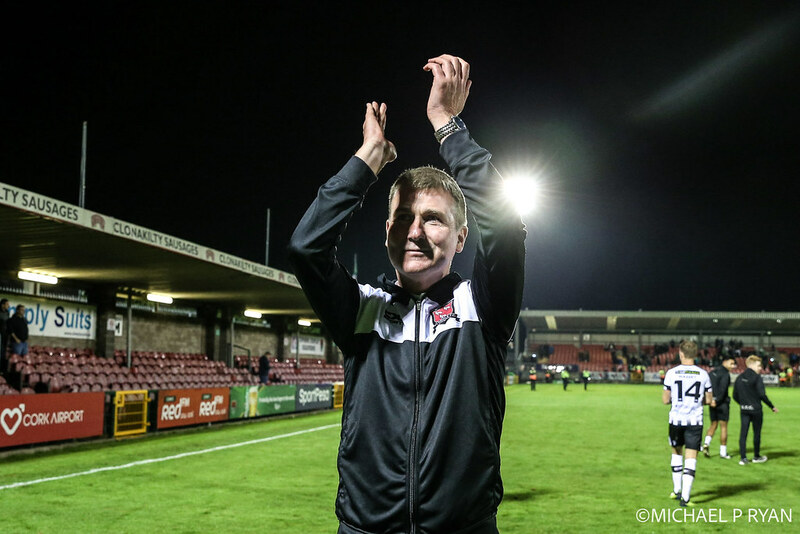 This win means that Kenny’s men can all but win the title as they face Derry at home on Tuesday night. 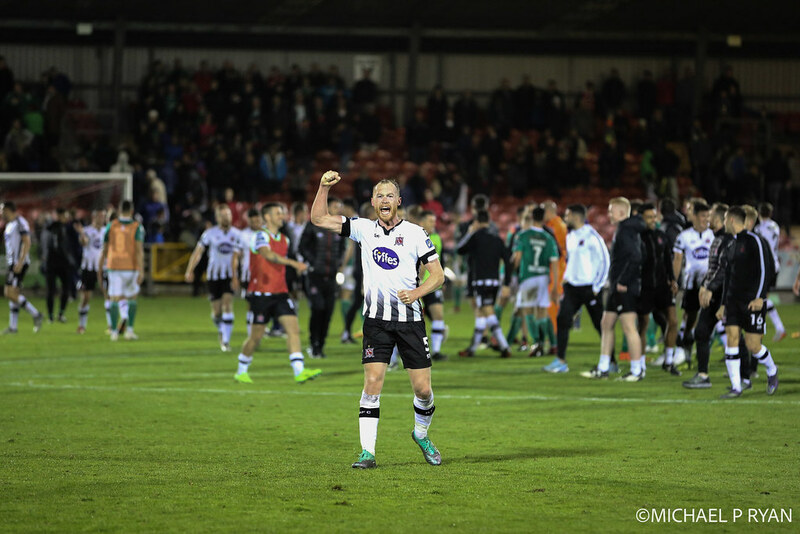 This is the game in hand following Derry’s involvement in the league cup final. 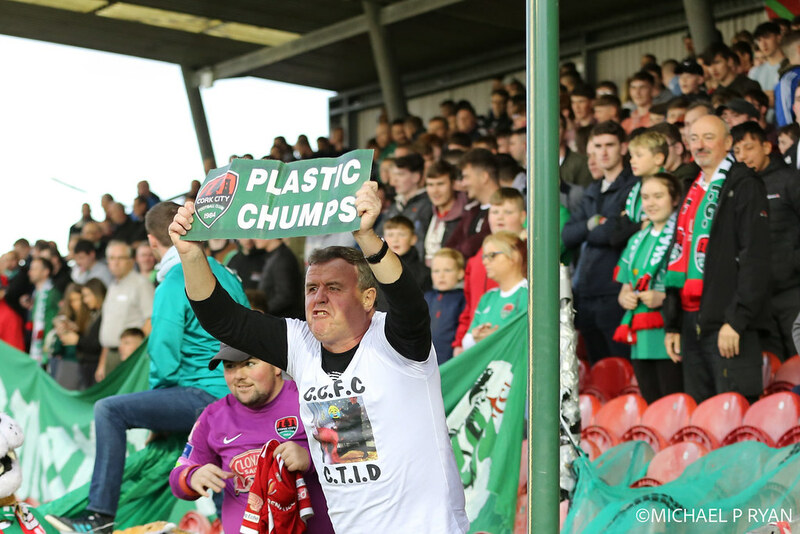 Cork City meanwhile now must get themselves ready for an important FAI Cup Semi Final match with Bohemians next weekend. 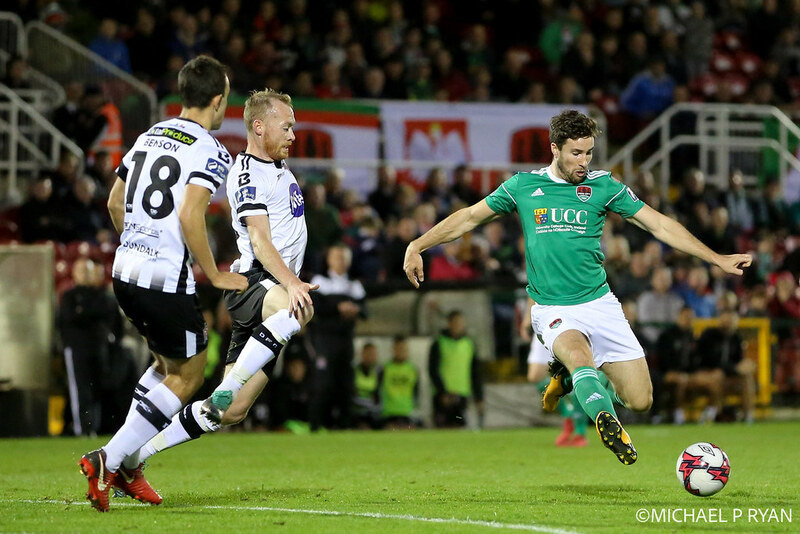 Cork City: Mark McNulty; Steven Beattie, Conor McCarthy, Sean McLoughlin, Shane Griffin; Gearoid Morrissey, Conor McCormack (Damien Delaney 89); Jimmy Keohane, Garry Buckley (Ronan Coughlan 61), Kieran Sadlier; Graham Cummins (Shane Daly-Butz 71). 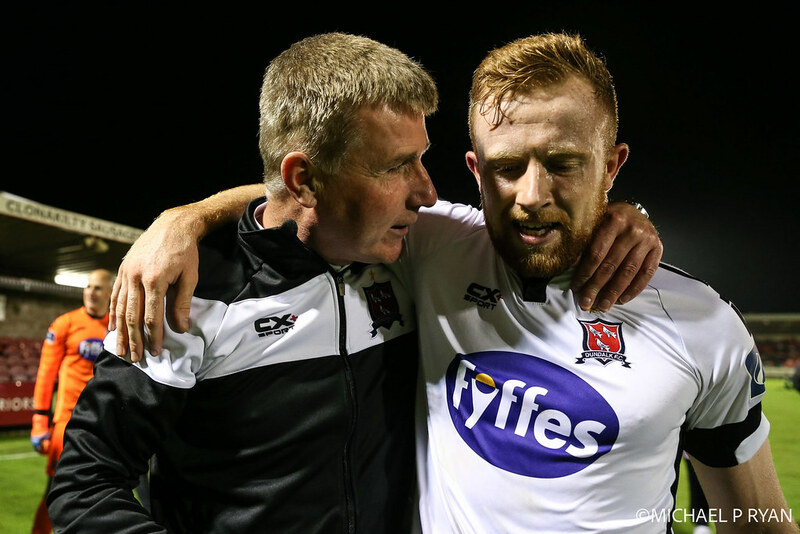 Dundalk: Gary Rogers; Sean Gannon, Brian Gartland, Sean Hoare, Dane Massey; Chris Shields, Robbie Benson (Dean Jarvis 86); John Mountney, Patrick McEleney (Jamie McGrath 75), Michael Duffy; Patrick Hoban (George Kelly 91). 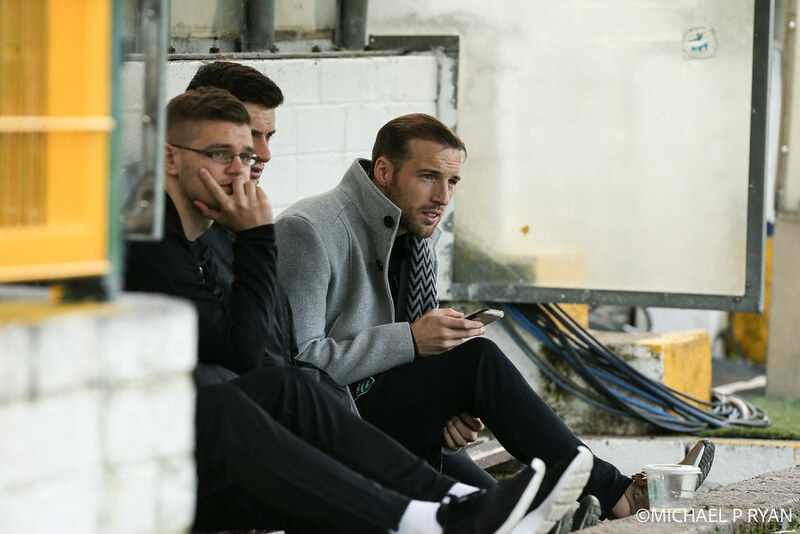 Subs not used: Gabriel Sava, Dylan Connolly, Ronan Murray, Daniel Cleary.